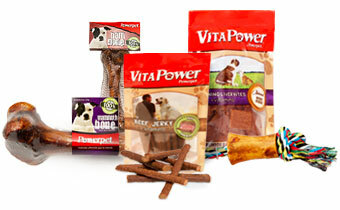 Nutrition and fun for your pet. Because we all want the best for our family. This is your best source of natural dog treats. All of our products are made in the U.S., Canada and Northern Mexico. Thanks to our high quality control standards, we are able to bring you a premium, all natural product that will satisfy your pets and their essential need to chew. © 2014 Powerpet. All rights reserved.